Have you ever watched Hell’s Kitchen where Gordon Ramsay rips through young chefs in his kitchen with his foul mouth and mean face? Gordon Ramsay has always scared me somewhat. If I was ever going to work in a kitchen, I wouldn’t want him as my boss because I would be too scared to do anything right. I really don’t work well when someone’s constantly nagging and yelling in the background, similar to what my dad would do when I was learning to drive. He was my instructor for a good few months and every time we went on the road, I would get scared of what he would say if I did anything remotely wrong. I eventually got my license, but now my brother is undergoing the same fate. Even though Gordon Ramsay and my dad are both scary and bad tempered, they are both very good at what they do, I guess that’s why they are able to get so hot tempered – because they have passion and they think they’re always right. That’s why I decided to try this Gordon Ramsay recipe for the perfect tiramisu. No eggs were used in this recipe and it really was very fast and very simple. The most important was the taste of course and that was also quite spot on. I like my tiramisu quite boozy so I added extra Marsala to the coffee to dip the sponge fingers. I also changed the booze to half Marsala and half Khalua for an extra coffee hit just because I had it on hand. 1. 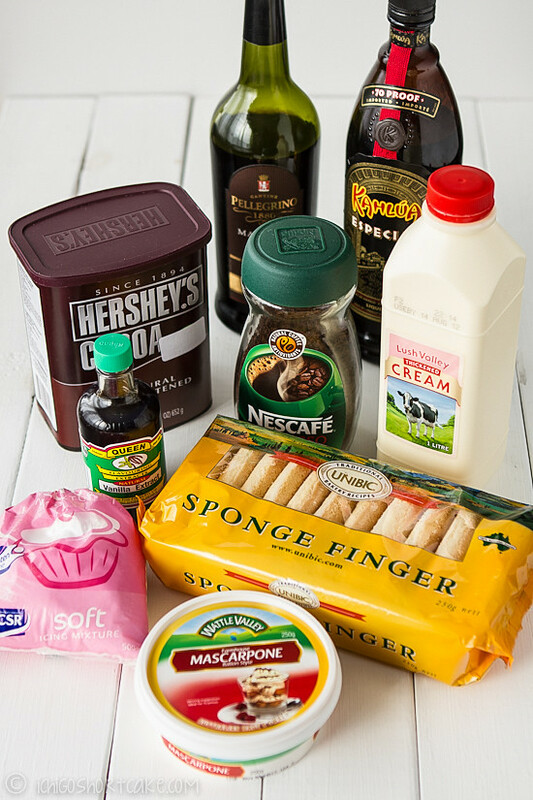 In one large bowl, whisk mascarpone cheese, vanilla extract, 2 tbsp Marsala, Khalua and 50ml coffee with a hand mixer until all mixed through. 2. In another bowl, whisk the cream and icing sugar until smooth (or almost at soft peaks). 3. Fold cream through the mascarpone mixture. 4. Pour remaining coffee into a bowl that’s big enough to fit a whole sponge finger into. Mix in 2 tbsp Marsala with the coffee mixture. 5. 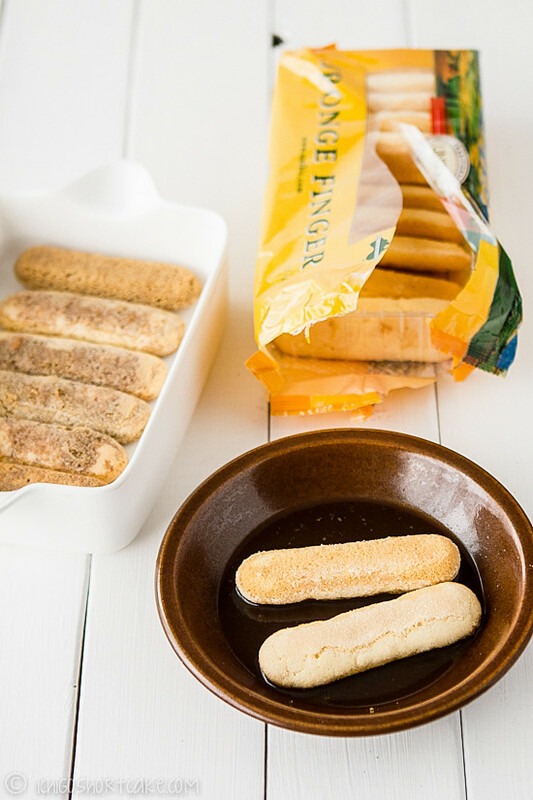 Dip each sponge finger (on both sides) in the coffee mixture until almost soft and set aside. Continue with remaining sponge fingers. 6. Lay the bottom of a serving tray (or serving glasses) with a layer of soaked sponge fingers, breaking in half if need to. 7. Add a layer of the mascarpone cheese mixture, then another layer of soaked sponge fingers, then a final layer of the mascarpone cheese mixture. 8. Put into the fridge to chill for an hour. (I found putting it in for only 20 minutes didn’t chill it enough or allowed the flavours to strengthen). 9. Dust tiramisu with cocoa powder and grated dark chocolate, serve chilled. I like Gordon. I think they make him look so mean, because it attracts more viewers. He looks like he has a good heart. Great pictures and recipe! =) Love how your dad is like Gordon! I think that’s for show too…on Master Chef, he is far kinder and really quite encouraging! What a classic and timeless dessert. your tiramisu looks sooooo fluffy and delicious i want to run out to the store and get the stuff to make it! A classic dish that will always be a favourite… love it. That is one of my favorite desserts. 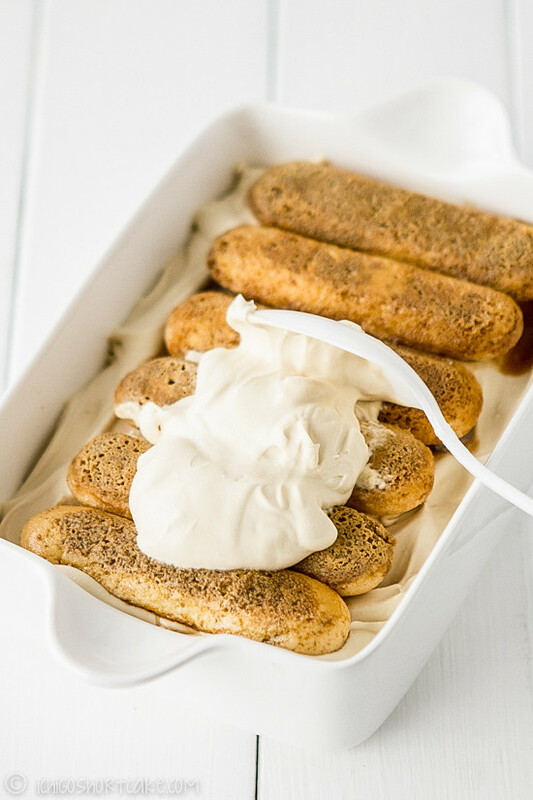 Your tiramisù looks divine. You can never go wrong with a classic! This looks fantastic! 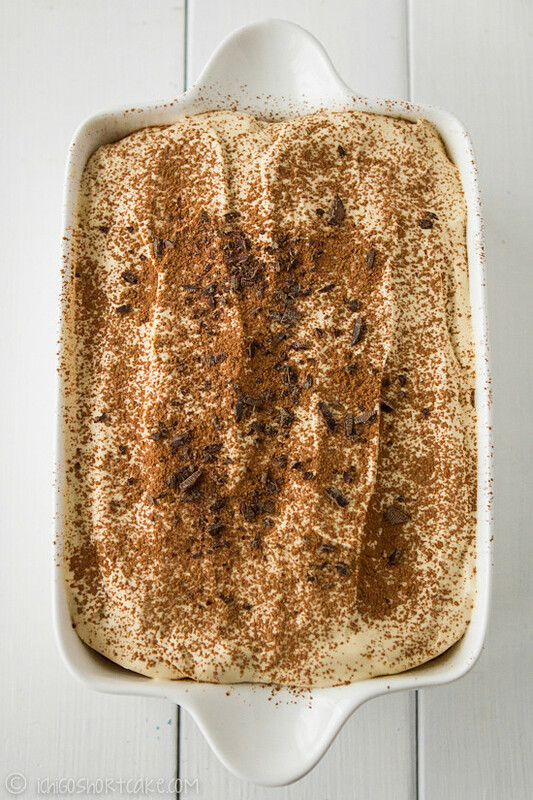 I looooove tiramisu, and this looks like a classic. I could polish off that whole tray! 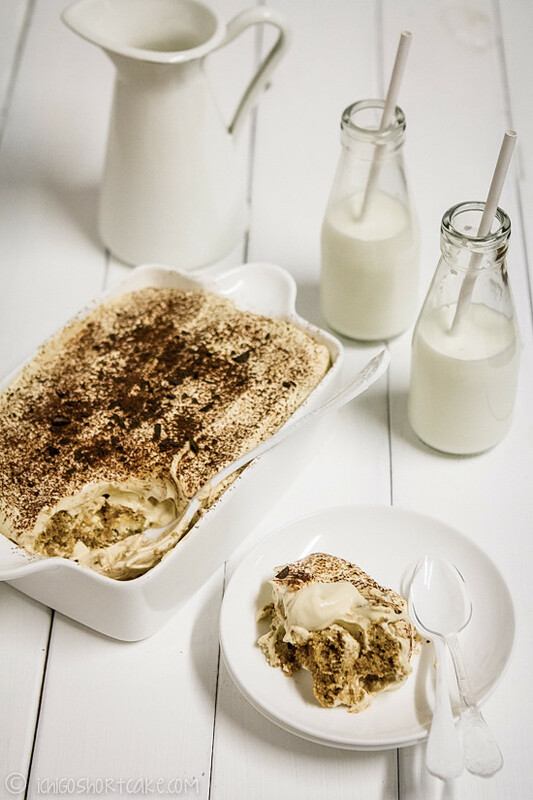 I love tiramisu, but have never tried making it – looks pretty easy. Beautiful pictures. Thanks for this. The tiramisu looks amazing! I don’t really like gordon ramsey all that much. I don’t even know if he’s a good chef or not cos I’ve never seen him do any cooking on those hell’s kitchen shows. 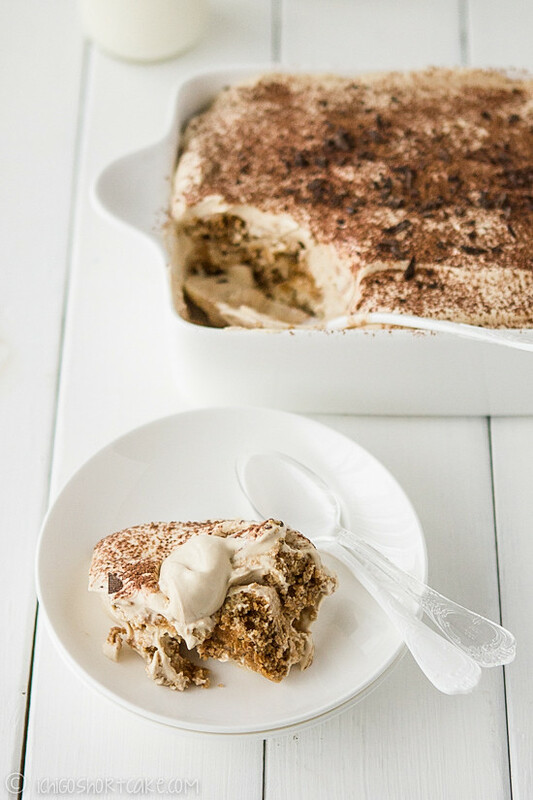 the creaminess of the tiramisu looks insanely delicious!! First, thank you for the recipe, will try it out. Second, I think we need more people like Gordon in the world. Everybody seems to have lost their passion and drive in life. I am exactly the same type of personality, so I can understand how he feels when people “drag” through life in a mediocre fashion. Gordon finds your soul and tears it out of your zombie body, pushing you to new heights and standards. He sees potential in human beings that they sometimes cant see themselves. Hi there…is thickened cream like whipping cream or 18%? It may be called something else in Canada…maybe it is whipping cream?? It sounds like it should be whipping cream, at least that’s what I used. 18% would be reduced fat cream which is harder to whip. You can still used 18% if you don’t like the idea of higher fat content but the cream on top might be a bit more runny that’s all. Hope that helps! Hi, your recipe look fantastic and i already made one just now. I have a question. When i mix mascarpone with kahlua and coffee why does the texture seems lumpy and not smooth? Looking forward for an advise so i can make another one again. I’m not too sure why that’s the case because it shouldn’t be lumpy. The only thing I can think of is if you overwhipped it. Try whipping it just lightly until it’s a bit thicker. Hope this helps. What size dish did you use?